With ongoing discussions surrounding the manufacturers, operators and integrators experience in the hosted payload arena, it’s important to note that the launch community is no stranger to this type of access to space. 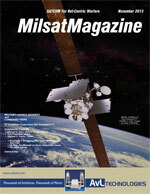 Top: Artistic impression of the SES-2 satellite. Image courtesy of Orbital Sciences. Whether commercially-hosted government payloads, or commercially-hosted commercial payloads, launch providers have been delivering these assets to space for decades. In some cases, certain launch providers could be deemed pioneers in the hosted payload arena. 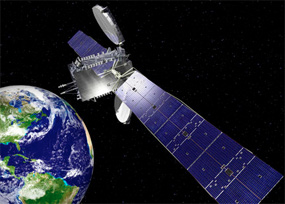 In 2005, Arianespace launched the Wide Area Augmentation System (WAAS) for the Federal Aviation Administration, on board an Ariane 5 from Europe’s spaceport (CSG) in French Guiana. Then, in 2011, the Commercially Hosted Infrared Payload (CHIRP), a U.S. Air Force infrared sensor, was launched on the SES-2 satellite via Arianespace, again on an Ariane 5. 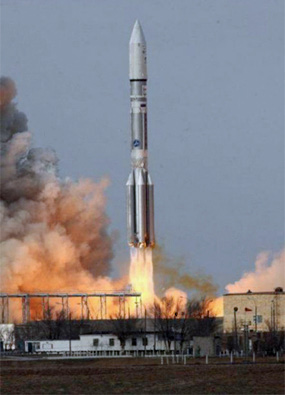 In 2012, International Launch Services launched Intelsat’s IS-22 satellite via a Proton rocket, which carried a UHF-hosted payload that serves the Australian Defense Force. 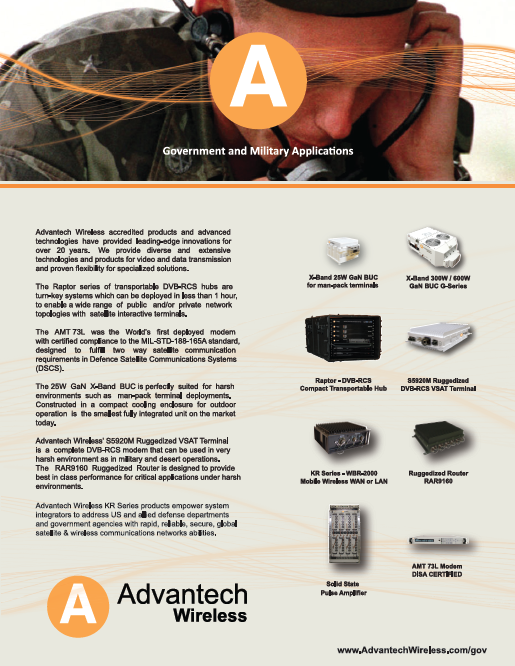 These missions all represent resounding successes, with the hosted payloads continuing to provide crucial services to government customers today. With each of these launches, the hosted payload model was vindicated. With the responsibility of launching these payloads comes the expectation—and the absolute necessity—for significant security provisions. In the case of Arianespace’s French Guiana facility, the French Navy, Army and Foreign Legion, and the Gendarmerie (national police) form several impenetrable security layers around any launch campaign that occurs within the CSG. 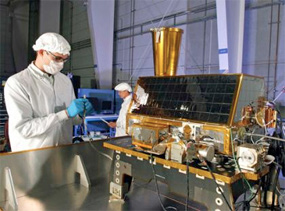 CHIRP, the U.S. Air Force experimental missile warning sensor aboard the SES-2 satellite. Photo courtesy of SES. Other tight security protocols strictly control access to any spacecraft resident within the base’s preparation facilities and provide 24 hour monitoring of sensitive technologies. Badging check-points are a must, and when needed, an enhanced security regimen is also part of the overall launch plan. These activities are an integral part of being a trusted partner in the satellite launch industry. Moreover, all of these steps are taken in order to practice strict adherence to U.S. export control laws, rules and regulations. How should policy evolve so foreign launches of U.S. Government payloads can take better advantage of trusted launch providers? The launch of the Intelsat IS-22 by International Launch Services (ILS). Photo is courtesy of ILS. Aaron Lewis, Director of Media and Government Relations for Arianespace has been with the company since 2004. Previously he served for a decade in the U.S. House of Representatives in various policy and communications strategy roles. He has a degree in Classics and the History of Math and Science from St. John’s College, Annapolis, Maryland.